Susan and Aaron are an awesome couple. 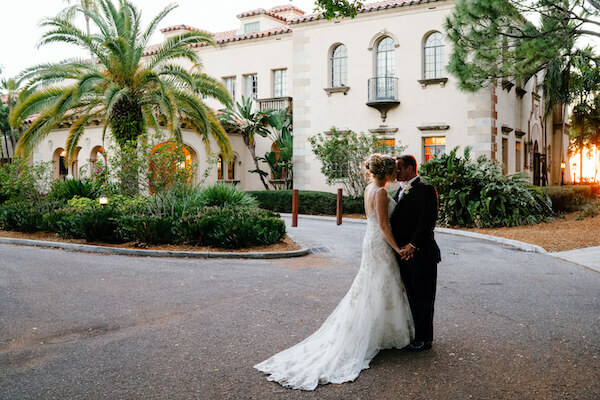 When they first married, they had a fairly simple wedding, but Aaron promised her that someday she would have the wedding of her dreams. 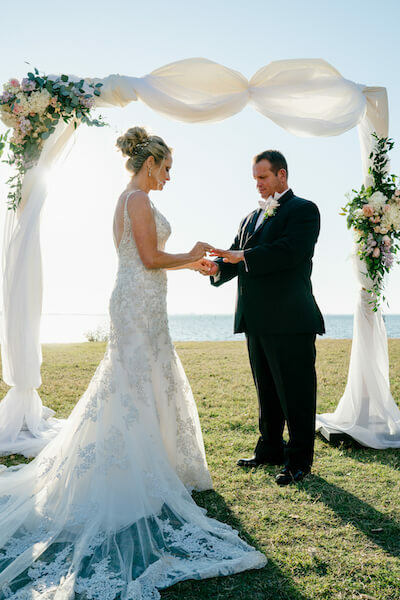 Holding true to his promise and three children later, Aaron made sure that his beautiful bride had the wedding she had always dreamed about. 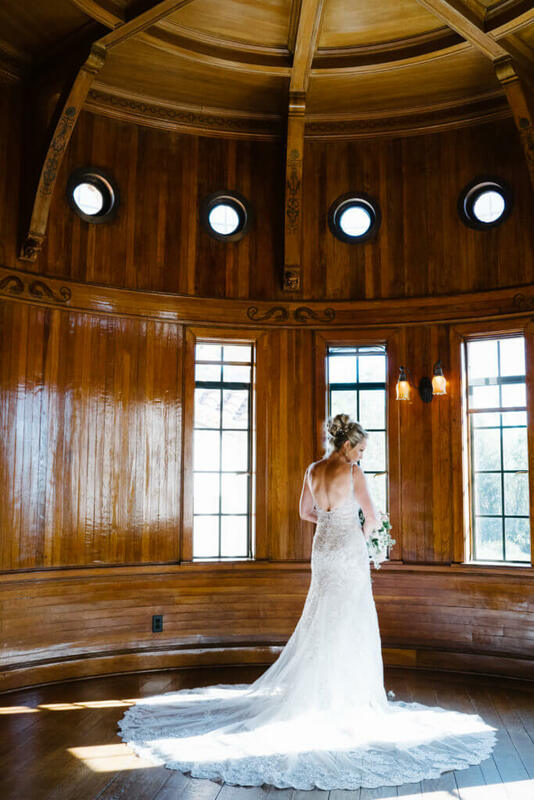 Susan fell in love with the historic Powell Crosley Estate. It is a two-and-a-half-story Mediterranean mansion built in 1929 and sits in the southwest corner of Bradenton on approximately 60 acres on Sarasota Bay. 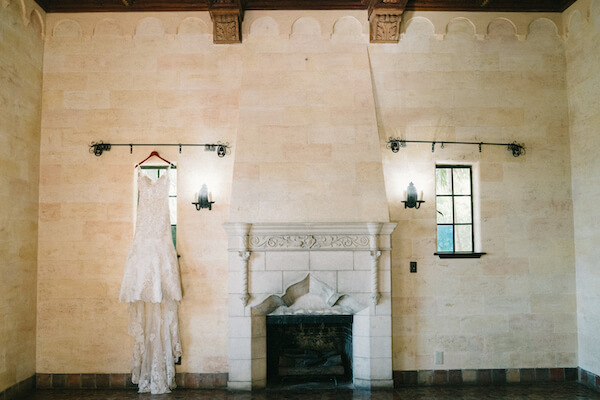 The bride selected a breathtaking gown with a sheer lace overlay, embellished with crystals and embroidery. The gown finished in a full sweeping lace train with delicate appliques. Her cascading bridal bouquet was the perfect accent to her luxurious wedding gown. 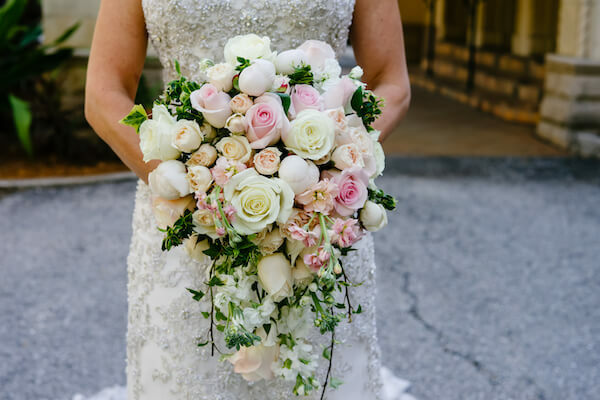 It consisted of shades of pink, blush, and white and overflowed with a huge variety of roses, accented with white peonies and tendrils of variegated ivy. Aaron looked very handsome in a classic black tuxedo with notch collar and a white bow tie. 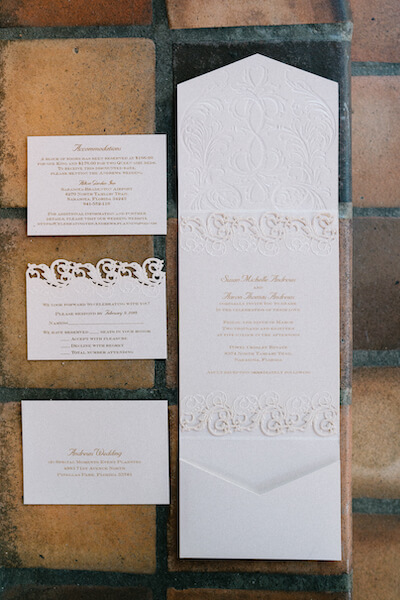 The elegant tone was set with white lace wedding invitations with striking gold lettering that replicated the lace detail in Susan’s wedding gown. 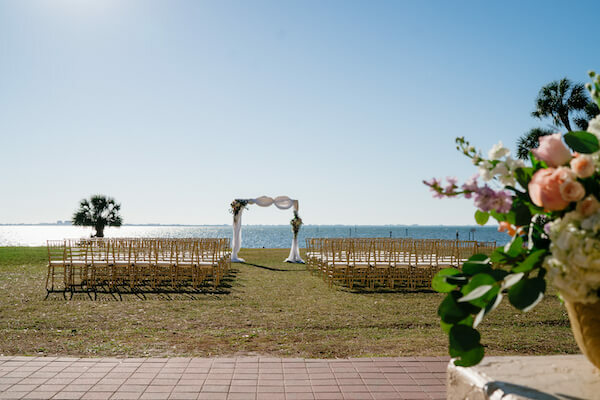 After their First look, Susan and Aaron’s waterfront wedding was set with gold chivari chairs and a simple fabric wrapped wedding arch accented with floral swags in pink and white. 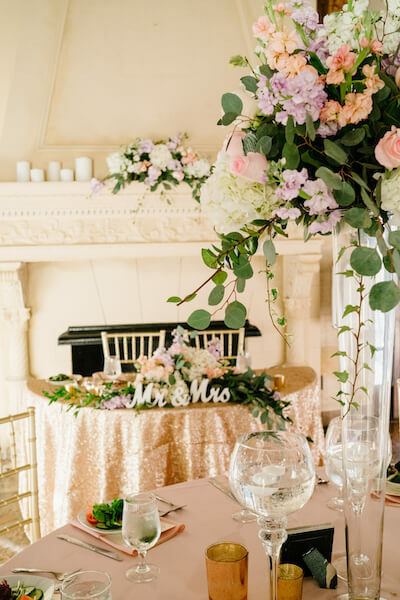 The reception that followed was adorned in shades of pink with touches of sparkle, floating candles, tall centerpieces in white, pink, and blush with a hint of purple, Susan’s favorite color. 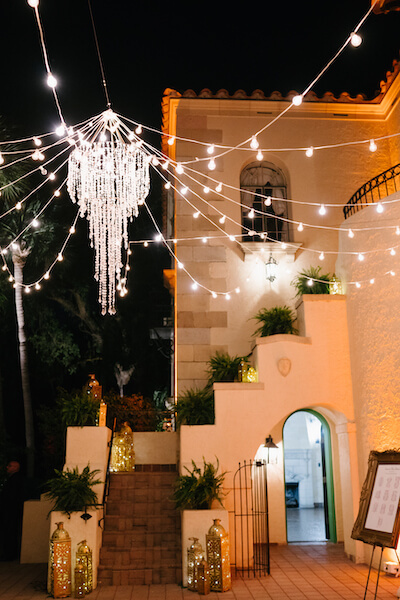 The celebration continued outside in the courtyard under a crystal chandelier, glimmering market lights and accent lighting in gold Moroccan lanterns. 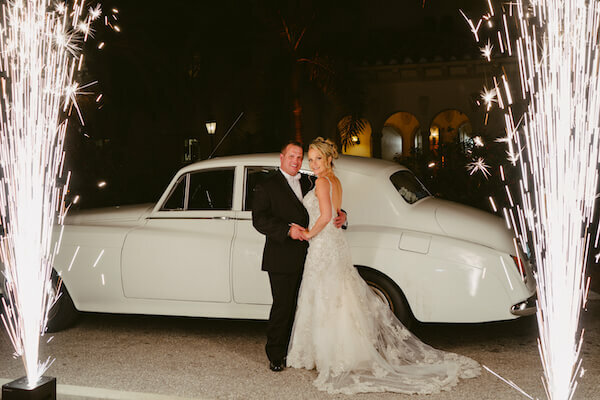 Susan and Aaron ended their amazing wedding in a brilliant shower of sparklers and then departed in a beautiful, classic white Rolls Royce. 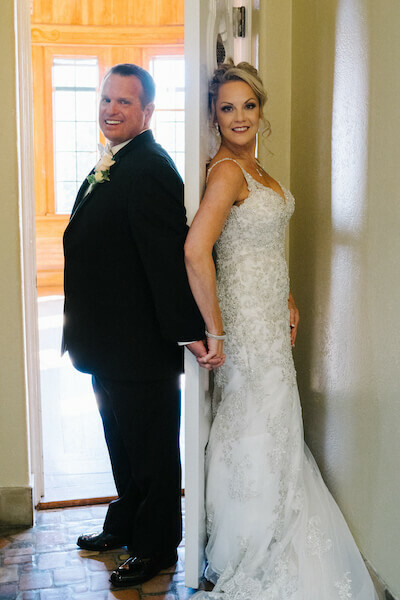 Thank you so much for your kind words and for allowing us to be part of your amazing day. We wish you both a lifetime of happiness. 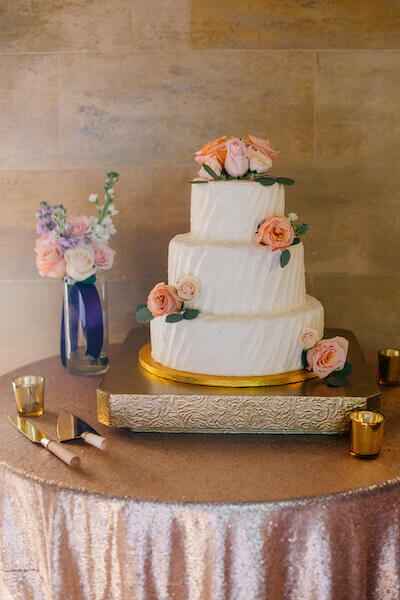 Thank you to the team of wedding vendors who made the day so special.